Thank God it’s Friday! Before I begin this Friday, let me be the first to say a happy birthday shout out to a special friend. It was actually her birthday yesterday on August 17th but happy birthday to Allie of Visionaries! Allie is my college friend where I attended college and she also recently started blogging to write fanfiction. In her blog, she writing a fanfiction of the classic cartoon/anime series Loonatics Unleashed. 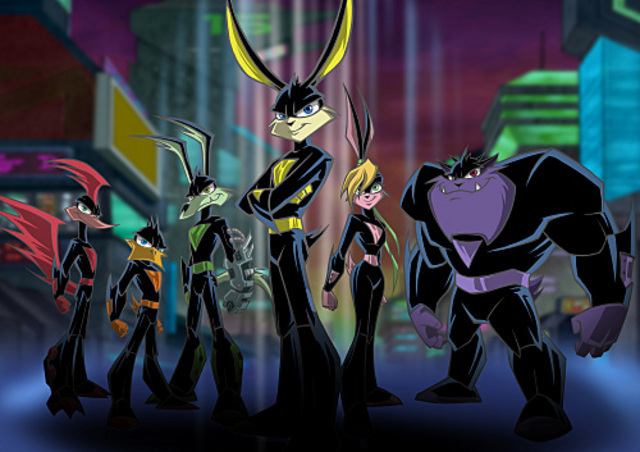 To those who don’t know, Loonatics Unleashed was a “dark and action” series that starred six characters who are descendants to classic characters like Bugs Bunny and many more. These characters live in the year 2772 in Acmetropolis and these characters receive special powers from a meteor strike. Instead of getting killed, they get powers and they use it to protect the world. This series only has two seasons and a third season was cancelled. Allie loves this show and decides to write a fanfiction story of season 3. Please check out her writing and enjoy some good fanfiction. Besides writing, she also enjoys some anime that we have in common. She likes Yu-Gi-Oh!, Inuyasha, Puella Magi Madoka Magica, Pokemon and Sword Art Online. Her favorite anime is Sailor Moon and I have yet to see it, I’m sorry. If you are reading this Allie, happy birthday from Matt from Matt-in-the-Hat! In other news, I hope you guys played Sonic Mania. I won’t go into too much details but this game is a big throwback to the classic games from the Sega Genesis! Congratulations Sega and Happy 25th Anniversary to Sonic! Now, let’s start this Friday post! Here are some anime songs Allie would probably like to enjoy! Tagged Happy Birthday, Sword Art Online, Yu-Gi-Oh! Happy Friday. This game is really fun and it makes me test my skills. Those Chaos Emeralds are hard to collect XD. Anastasia had such a beautiful soundtrack. I had never heard of Loonatics Unleashed before. Learn something new every day! I heard some of the songs and I have to agree with you. Simply beautiful. I forgot about this cartoon. I missed out on it but heard it was good. Too bad it doesn’t have another season. Have you tried Duel Links? Yes I have. It’s a fun game. Thanks. I just sent my code to you. My username is MaLucis.